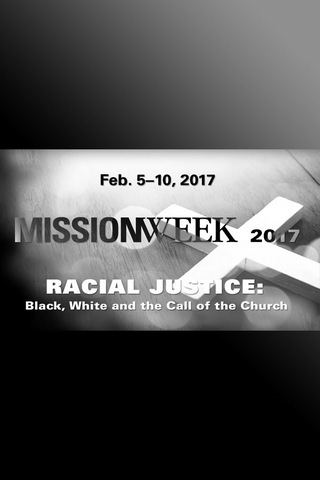 This event is part of Marquette University’s 2017 Mission Week, whose theme is Racial Justice: Black, White and the Call of the Church. Our conversation will feature three individuals who have fought against racial injustice in America. Bree Newsome is a filmmaker, musician, speaker, and activist. On June 27, 2015, in the aftermath of the hate-fueled killing of nine African-American churchgoers in Charleston, Newsome scaled the flagpole on the South Carolina statehouse grounds and removed the Confederate flag. Rev. Jim Wallis is the president and founder of Sojourners, and is a public theologian, speaker, and best-selling author. His latest book, published in 2016, is titled America’s Original Sin: Racism, White Privilege and the Bridge to a New America. Rev. Bryan Massingale, formerly of Marquette University, is a theology professor at Fordham University. Fr. Massingale is one of the world’s leading Catholic social ethicists and scholars of racial justice, African-American theological ethics, and liberation theology. His 2010 book, Racial Justice and the Catholic Church, won a first-place book award from the Catholic Press Association. 12:15 to 1:15 p.m., Marquette Law School, Eckstein Hall.